Everyone in Miss Kelly's class is excited about the upcoming election for school president. The good news is that Rob's best friend, Soup, is the boys' candidate, and the bad news is that the girls' candidate is Rob's sweetheart, Norma Jean Bissell. 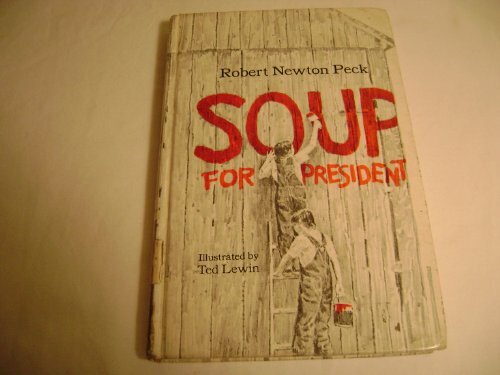 Soup is sure he's a cinch to win with Rob as his campaign manager and schemes up some exciting and dangerous advertising, never thinking about the consequences. As the days go by, Rob's still not certain whom to vote for, especially when he receives a secret note from Norma Jean. The only thing he's certain of is no matter which way he votes, he's going to be in big trouble! 5/29/2017 Naira Behl said: This book is good for children and I really recommended to them. I have also read the aussieessays writing service review about this book. All are given positive reviews to this book and I will definitely order it.